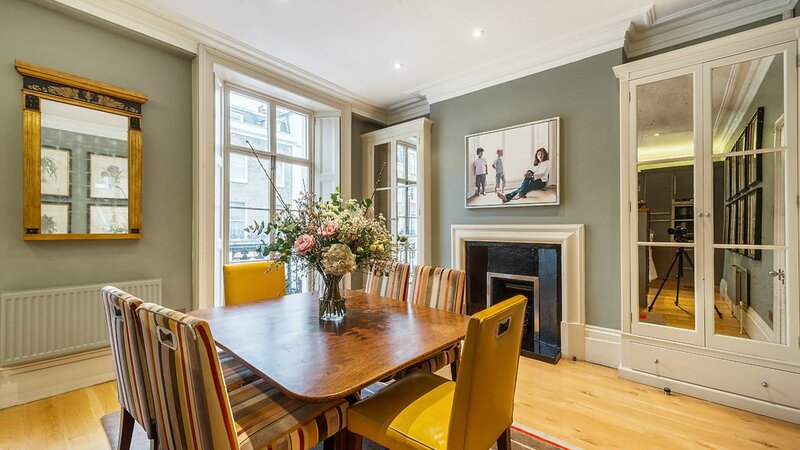 This elegant apartment offers well balanced family accommodation over the first, second and third floors with the added benefit of its own private street entrance. 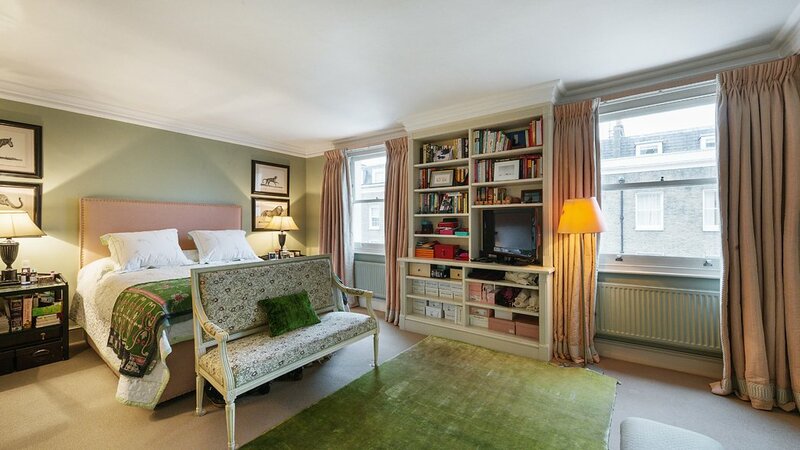 This well maintained and charming apartment has its own entrance on Elizabeth Street and opens into a hall with ample room for coats etc. 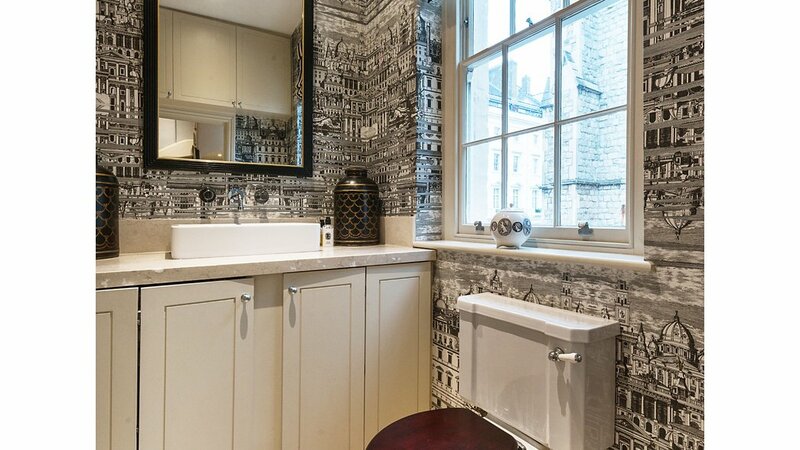 Stairs lead up to a bright first floor hallway with a guest WC and views of St Michaels Church. The kitchen is flooded with light thanks to the original floor to ceiling windows, which look out over Elizabeth Street. 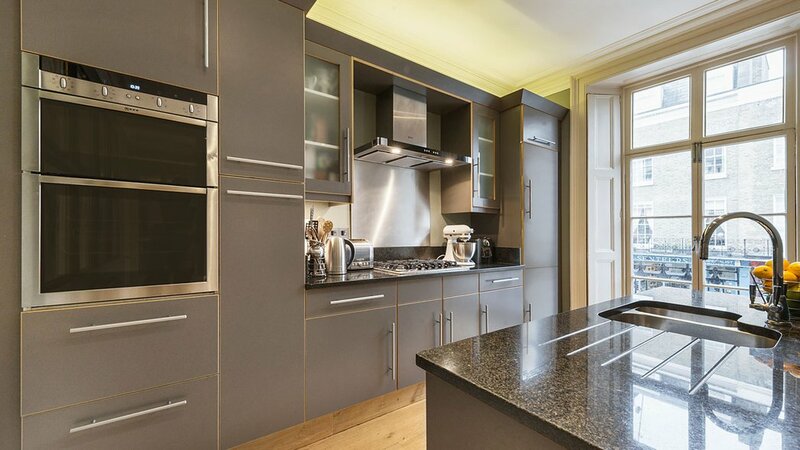 The room has been cleverly partitioned, providing a well-appointed kitchen as well as an informal dining space. 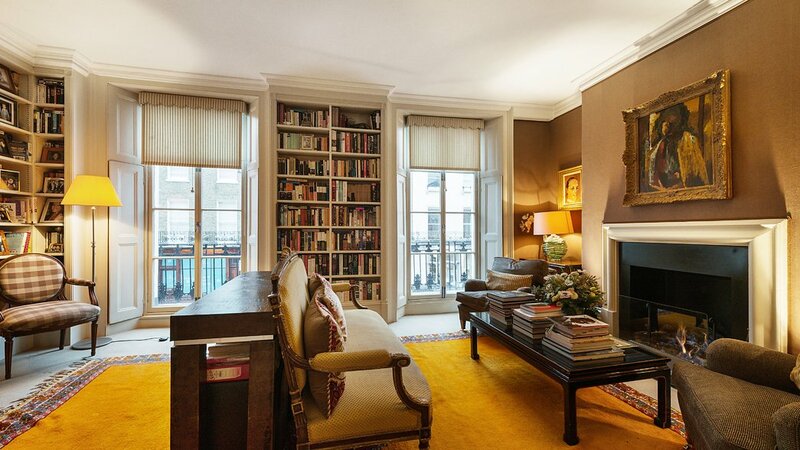 The light and elegant Drawing room is also situated on the first floor and benefits from a lovely feature fireplace and bookshelves, giving this room a warm and cosy feel. There is a staircase at each end of this property as it was originally two apartments, which have now been amalgamated to form one larger home. The benefit of this reconfiguration is the feeling of privacy in terms of there being an east and west wing to the property. 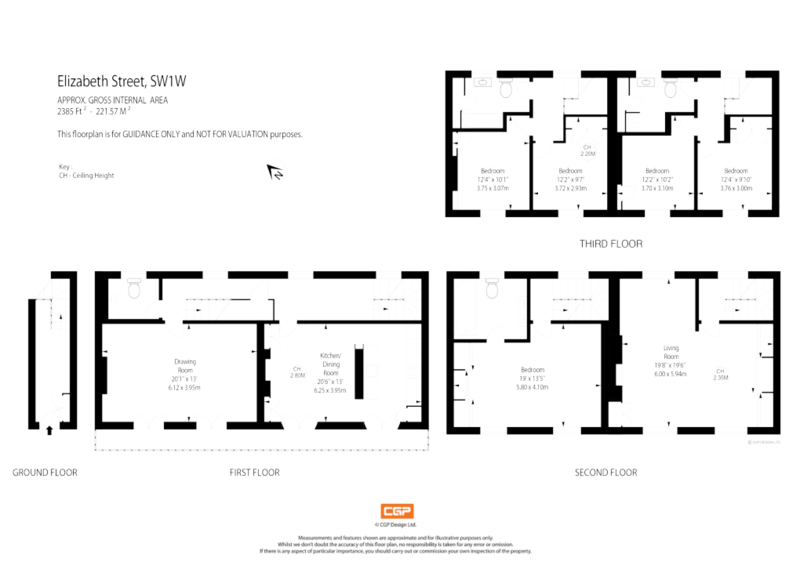 On the second floor, there is a large master bedroom suite with built in storage and an en suite bathroom. 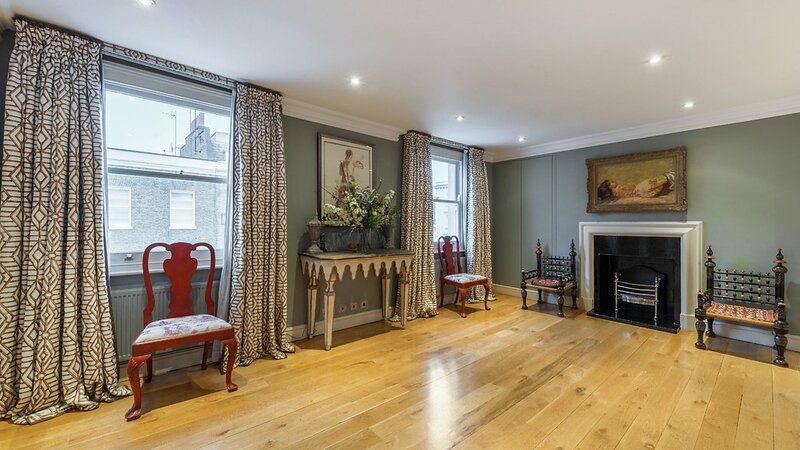 There is also a very spacious and versatile reception room, which could be used as a formal dining room, playroom or additional sitting room. At the top of the house, there are four bedrooms and two bathrooms, again with a staircase leading to each ‘wing’. The property also has access to Belgrave Square Garden - a green and tranquil private garden designed by George Basevi and first planted by Thomas Cubitt in 1826. The garden features large plane trees, some dating back to the original planting, pretty wisteria-covered pergolas, rose bushes, a tennis court and a play area for children. Elizabeth Street and the surrounding areas combine a village atmosphere with memorable shopping and dining options for residents and visitors alike. Whether you are in need of a Chemist, fine wines and whiskey, organic produce, cigars or a slice of cake Elizabeth Street has it all. The historic Belgravia neighborhood is composed of more than 300 niche boutiques and businesses; Wellbelove Quested are extremely proud to be included within this group and support local businesses and traders alike.